I use SPREAD32 to do some tables. Now I need to print them, but I can see how to do it. In my copy of Spread32 (version 2.01), there's the normal Print entry in the File menu, which also offers the standard keyboard shortcut in parentheses (Ctrl+P). In the last freeware version (1.18) [http://www.321download.com/LastFreeware/page14.html] there is a print dialogue. Note that versions after 1.18 are not freeware, but are shareware. Thanks, Cornflower - I switched to the last free version. I don't remember where I got 2.1, but I had somehow thought of it as nagware - even though the nag popup states that it's shareware! Version 1.18 seems to be just as good, anyway. According to the web site, http://www.byedesign.freeserve.co.uk/devdiary.htm the current version is 2.02 . The version without the Print dialog is probably the one from the FloppyOffice bundle, in the database. I liked this program so much that I registered it. I have talked to the author several times. In Version 2.02, Stephen started to make it portable. However a small bug remains. The next release has it fixed. No word on a release date, though. I use version V19991112 Beta, the last freeware release. That is not the last freeware release (version V19991112 Beta) - it's the very limited release in Floppy Office / Tiny USB Office that is completely portable and stealth. For lack of a better option, I made the present one the official forum topic for Spread32 (http://www.portablefreeware.com/?id=561). 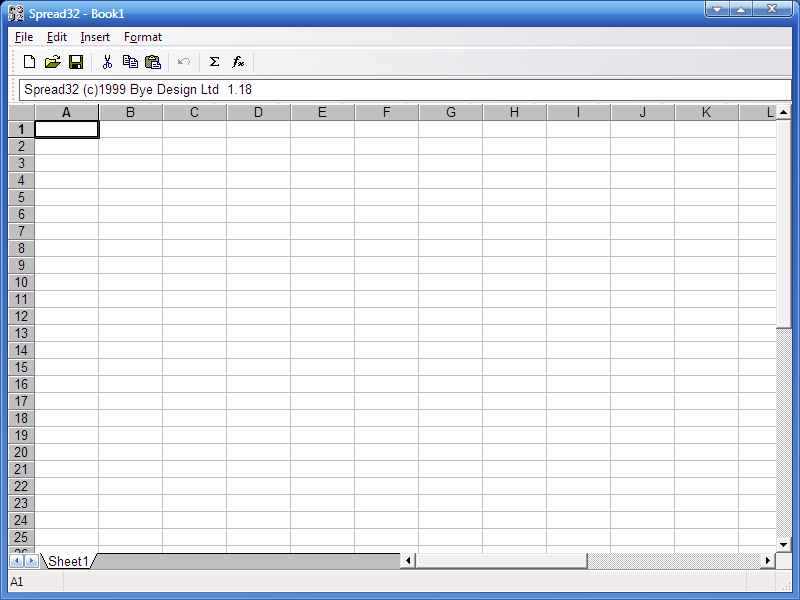 [url]http://www.softpedia.com/get/Office-tools/Other-Office-Tools/Spread32.shtml[/url] author wrote: [Spread32 is a] Straightforward application that provides users with a simple means of creating spreadsheets, adding all sorts of formulas and elements, and export data to a file. Spread32 homepage is at http://www.byedesign.co.uk/, but it has gone shareware in latest versions (currently v2.05; changelog is at http://www.byedesign.co.uk/devdiary.htm). Spread32 v1.18, the last freeware version, can be downloaded from http://www.321download.com/LastFreeware ... l#Spread32. @webfork: please amend OP/move this topic as you see fit. Thanks in advance.